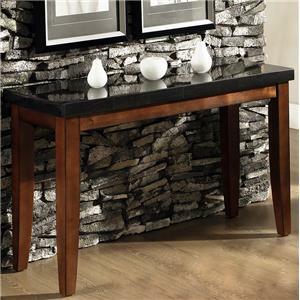 If your looking to make a statement, this 54" square granite topped counter height table will do the trick. With a seating capacity of eight, you'll have plenty of room to entertain friends, family, and guests. 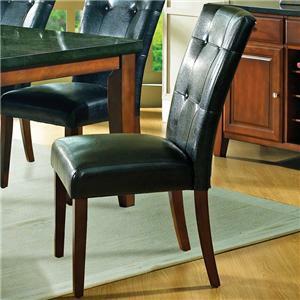 Pair with the matching counter height parsons chairs for the complete set. 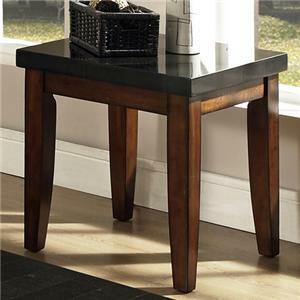 The Granite Bello Granite Top Counter Height Leg Table at Morris Home in the Dayton, Cincinnati, Columbus, Ohio, Northern Kentucky area. Product availability may vary. Contact us for the most current availability on this product. Case Construction Heavy framed panel case sides. Box Seat Construction on chair seats for comfort and look. 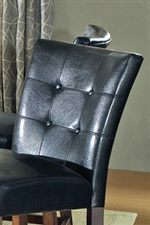 Case Detail Thick tapered legs. 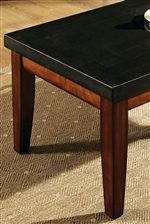 Description: Top Granite veneer top. 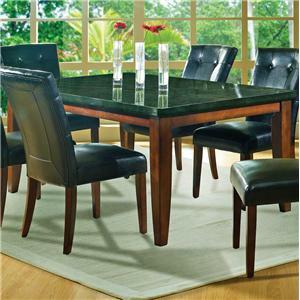 The Granite Bello collection, as the name suggests, features beautiful granite top tables that blend into a warm wood finish for a striking modern contrast that gives each dining set great flexibility. 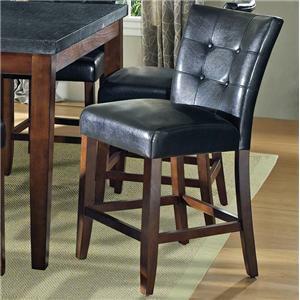 The chairs and stools are upholstered in a black leather-like vinyl, with tufted backrests for a sleek, comfortable look and style. 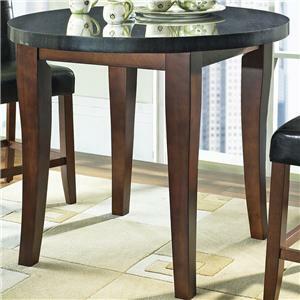 Offering three dining table sets, and an occasional table set, the versatile Granite Bello collection will bring trendy, contemporary style to both your dining area and living room. 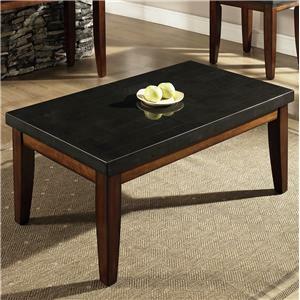 The Granite Bello collection is a great option if you are looking for Contemporary furniture in the Dayton, Cincinnati, Columbus, Ohio, Northern Kentucky area. 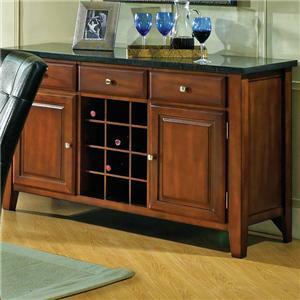 Browse other items in the Granite Bello collection from Morris Home in the Dayton, Cincinnati, Columbus, Ohio, Northern Kentucky area.